Writers looking for agents or editors to champion their books, and agents and editors searching for new talent all successfully use writing contests as a key strategy in discoverability. “Discoverability is so tough these days,” says Regina Brooks, one of New York’s premier young adult literary agents. Writing contests are a good strategy to gain exposure in a highly competitive space. As founder and president of Serendipity Literary Agency, and the author of Writing Great Books for Young Adults: Everything You Need to Know, From Crafting the Idea to Getting Published (Source Books), Regina started her own YA Discovery Contest eight years ago. She had been speaking at conferences and sharing insights about emerging young adult books, when editors, new to young adult literature, began asking her to help them evaluate YA manuscripts. She wrote her book and set up Serendipity’s first annual contest, ultimately bringing all players together. Writing contests offer many advantages to writers of all genres, the most compelling of which is potential exposure to agents and editors. Some writers may wonder why they would want to spend time submitting to contests when they could be focusing on pitching to agents and editors. Many writers are out there trying to get attention on social media, to cultivate a readership in that space. “Writers need social media, platforms [for marketing and building an audience],” says Regina, “but some of that has nothing to do with writing. Writing contests are all based on writing.” So while editors like that a writer has a platform, it can be difficult to assess a writer’s ability to produce books that sell. “Agents and editors value winning a contest” as a legitimate accomplishment. “Other agents look to Serendipity’s contest to see who the winners are,” says Regina. Contests are a venue where writers are judged on their writing, not on getting attention, where writing skills and discoverability come together. In Serendipity’s competition, writers submit only the first 250 words of their manuscript. “It gives writers a sense of what is needed to capture the attention of agents and editors, and the importance of the initial entry into the book. First pages are critical,” says Regina. Also, in the contest, writers don’t need to have their manuscript complete and don’t need to worry about pitching their work. One tip Regina shares for how to determine which contests are worth a writer’s time is to look at the success of the contest’s winners. Serendipity has many success stories. 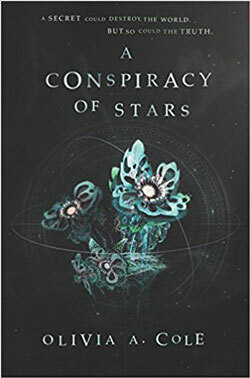 Regina is especially excited about recent winner Olivia Cole’s new book A Conspiracy of Stars coming out in January 2018 via Harper Collins. Regina’s team was able to secure a two-book deal for Olivia through a multiple-editor auction. Serendipity runs its contest in November to coincide with the flurry of National Novel Writing Month. “NaNoWriMo is a perfect time for the contest because everyone is in the mindset to push themselves to write,” Regina says. Now in its eighteenth year, National Novel Writing Month (NaNoWriMo.org) is an internationally-designated month in which aspiring novelists write an entire novel in thirty days. NaNoWriMo inspires more than just an attempt to strike out procrastination, and more than novelists can take advantage of the tools for writers. While the official NaNoWriMo program is only for novelists, writers of other formats, such as poets, nonfiction writers, picture book authors, screenwriters, and short story creators can tap into the wealth of resources that emerge in November—daily-goal calendars, writing prompts, plot and script software trials, coffee subscriptions, and more—to set up for success. Past participants have noted one of the big advantages of taking a month to really focus on your writing is the exploration of ideas that you might not otherwise spend concentrated time on. And at the end, writers have a draft that could lead to a more polished novel down the road or be tweaked for another format or genre, appropriate for several contests. Contests help more than writers though. From an agent’s viewpoint, a contest is a great way to discover talent. For Regina, she may discover a great writer she can mentor through the process to produce a salable project. Through Serendipity’s contest, “I might find an awesome writer, and I can help tweak the plot and develop the writer, maybe spin the story in a new direction so it’s not like five other books coming out,” says Regina. Developmentally, the writer can take advantage of getting both editorial and business savviness tied into it a relationship sparked from the contest entry, ultimately benefiting both writer and agent. “With normal submissions, I often can’t sell a manuscript as is, but with the contest I can guide the writer and do more developmentally,” she says. 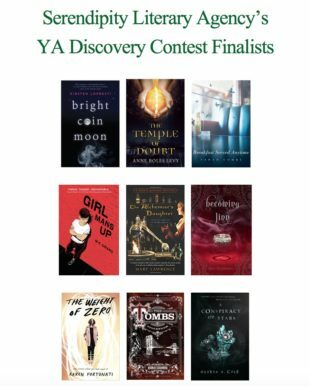 Serendipity Literary Agency’s 8th Annual YA Discovery Contest runs Nov 1 – 30, 2017. Writers submit only the title and first 250 words of an original young adult novel. The contest is open to anyone age 14 and older; one entry per person. There is a $15 entry fee. 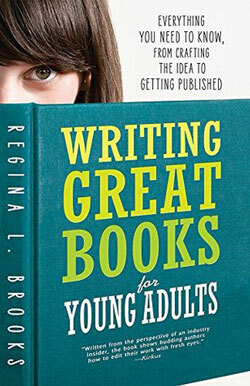 The first 50 entrants receive a copy of Regina’s book Writing Great Books for Young Adults. Regina and her team will read all entries and determine the top 20 submissions. Those select submissions will then be read by the following editors: Tiffany Liao (Henry Holt Books for Young Readers), Sasha Henriques (Little Brown, JIMMY Patterson Books), Hannah Allaman (Disney-Hyperion), Kate Meltzer (G.P Putnam’s Sons Books for Young Readers), Courtney Code (Abrams Books for Young Readers), Sarah McCabe (Simon Pulse), Alexa Pastor (Simon and Schuster Books for Young Readers), Becky Herrick (Sky Pony Press), Christine Krones (Houghton Mifflin Harcourt Books For Young Readers), Alex Ulyett (Viking Children’s Books), Lauren Smulski (Harlequin Teen). These judges will whittle the top 20 down to five winners, including a grand prize winner. The grand prize winner’s full manuscript receives a critique from Regina. 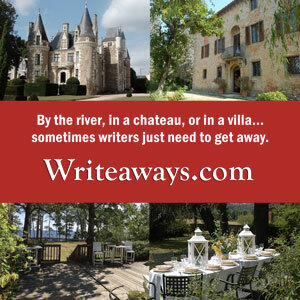 The top five entrants (including the grand prize winner) receive a 15-minute, one-on-one pitch session with Regina, as well as commentary from editors at several large publishing houses. In addition, they will receive a year’s subscription to The Writer magazine. Several other organizations and publications sift through and post legitimate writing contests. Many offer their own grants and awards. The Loft literary center, in addition to educational and networking opportunities, offers grants and awards such as the McKnight Artist Fellowships and Emerging Writers’ Grant. Poets & Writers magazine keeps an updated database of legitimate writing contests, grants, and awards, including poetry contests, short story competitions, essay contests, and awards for novels. The magazine staff reviews the practices and policies of each contest before including it in the magazine and online database. Writer’s Digest hosts several writing contests, including its Annual Popular Fiction Awards (deadline November 15). This competition spotlights short fiction in many categories including romance, thriller, crime, horror, science-fiction, and young adult. Writers enter their best work in one genre, submitting 4,000 words or less. Winners receive cash prizes, a spotlight in the magazine, and a paid trip to the Writer’s Digest Conference. UK-based Penguin Random House’s The Writers’ Academy lists several annual competitions, including Reader’s Digest 100-Word-Story Competition and the Keats-Shelley Prize for Romantic Poetry. The NY Literary Magazine is one of many publications that run free-to-enter poetry contests and short story writing contests. Winners are published in the print and digital magazine. Get a sense of who the judges are. Serendipity lists the editors who will read submissions. “You want to know the judges are experts and that your submission will be seen by the people you want to be seeing your work,” she says. Look up past participants. Are they published? 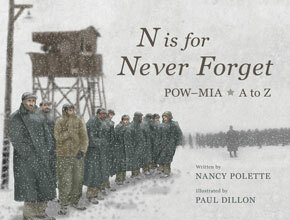 How well reviewed are the books published by past winners? What does it cost to enter the contest? What do you win? Do you see your evaluations or get any feedback or opportunity for additional exposure? Books Make a Difference team members, who are all published writers, have participated in NaNoWriMo and entered writing contests.